Our representative will warmly welcome you on arrival and assist you to the vehicle for the further journey. 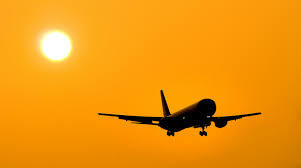 He will provide you all the relevant documents (Hotel vouchers and Itinerary). 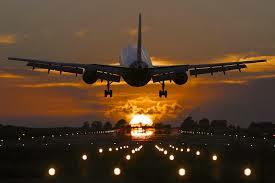 There after you will depart towards your dream destinations. Throughout your journey, you can enjoy the versatility in climate. Pleasant weather will win your heart completely. On the way, you will pass through magnificent views of the mountains, valleys and village life, the forest, waterfalls and hills covered with tea gardens. After reaching at Darjeeling , we assist you to check in at hotel and take rest. We suggest you to sleep early for next day tour. Overnight stay at Darjeeling. Early morning sunrise is one of the majestic point in Darjeeling sightseeing. Request you to awake early morning around 3: 30 am, Get freshed. You will visit Tiger hill sunrise point. 11 km far from city, you will watch the combined beauty of different colors, clouds, hills, snowy Mt. Kangchendzongha and vast landscape of Darjeeling. You can’t forget these moments ever. On your way back visit to Hotel, visit Ghoom Monastery and Batasia Loop. (Timing 4.00am to 7.30am). After breakfast visit most famous tourist points including Darjeeling Zoo, Mountaineering Institute (Closed on Thursday), Happy Valley Tea Estate, Tenzing Rock, Gombu Rock, Tibetan Refugee center (Closed on Sunday) Lebong Race Course outerview and Japanese temple & Peace pagoda. (Timing 9.30 to 2.30). After breakfast at hotel. You will be proceed towards Bagdogra Airport / NJP station for your onwards journey with a cute smile on your face remembering all the sweet moments spend here. Let the everlasting memories of the radiant Himalayas and its beauty linger in your mind and prompt you now and again to revisit this region. Evening is free for leisure or to roam the local area, see their culture, activities, diversity, trend and also feel the difference between city life and hill life. Overnight stay at Darjeeling hotel. After breakfast at hotel, drive towards Mirik via Pashupati Nagar, Indo-Nepal Border through picturesque roads. (Extra vehicle charges will be applicable for Nepal Border to Pasupati Market for shopping and recreation). 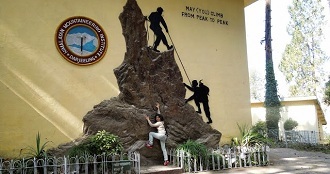 Return to Darjeeling in the evening and overnight stay at hotel in Darjeeling. Mirik: A small sleepy town built around the 1.25 kilometer long man made Sumendu Lake. 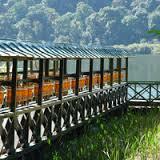 The pristine lake is surrounded by high forested hills, tea gardens, orange orchards and cardamom plantations. Horse riding & Boat is available around the lake on direct payment basis. After reaching at Gangtok, we assist you to check in at hotel and take rest. We suggest you to sleep early for next day tour. Overnight stay at Gangtok. You need to get up early, get fresh and have heavy breakfast till 7.30am. 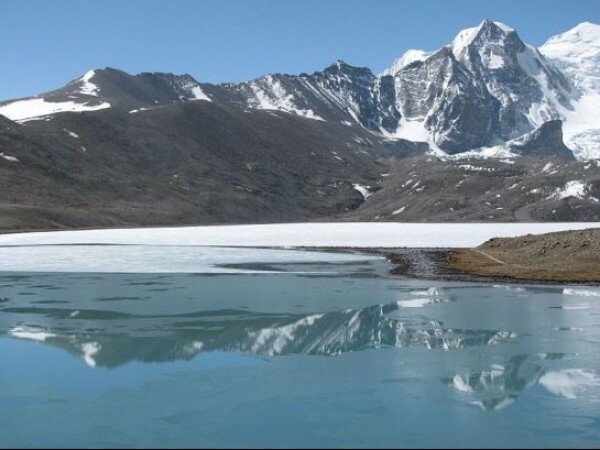 After breakfast you will be taken for a full day excursion to Tsomgo Lake (Alt 12000ft/3600M), a high altitude alpine lake close to Indo-China Border. The 1 km long and 15m deep lake is considered sacred to the local people. The pure clear water remains frozen during winter. Enjoy playing in snow and Yak Ride. Proceed further to Legendary Baba Harbhajan Singh Mandir (“Hero of Nathula” An Indian soldiers who was awarded the MahaVir Chakra medal for his bravery and known for doing his duty still after death). Back to Hotel. Evening free for leisure. Overnight stay in Gangtok. Optional tour to Nathula Pass ( 14140 Ft / ) :- Excursion to Nathula Pass ( Indo – China Border) is done on extra supplementary cost. It is controlled by Indian Army. Nathula permit get confirmed 24 hrs prior to the trip. it remain close on Monday & Tuesday for tourist. Organizing for Permit for Nathula is not possible at last moment. I require a minimum time of 72 hrs with proper document to process. It require 04 passport sixe photograph & photo proof identity card. (Voter id / Passport / Driving licence). Aadhar card/ Pan card is not accepted as ID proof by Sikkim tourism. After Breakfast at Hotel. You will be taken for half – day sightseeing of Gangtok. This Includes – Banjakhri Water Falls, Government Institute of Cottage Industry (Closed on Sunday, 2nd Saturday), Orchid House Flower Show, Sikkim Research Institute of Tibetology and Do-drul Chorten. Later you will proceed towards Darjeeling. Upon arrival Check In at Hotel. Evening free for leisure. Overnight stay in Darjeeling. After reaching at Darjeeling, we assist you to check in at hotel and take rest. We suggest you to sleep early for next day tour. Overnight stay at Darjeeling. After breakfast at Hotel. Check Out from Hotel & drive towards Kalimpong (1243 meters / 4078 feet). Kalimpong is a hill station in the Indian state of West Bengal. It is located at an average elevation of 1,250 metres. The town is the headquarters of the Kalimpong subdivision, a part of the district of Darjeeling. Upon arrival in Kalimpong. Check In at Hotel. Eveniing free for leisure. Overnight stay in Kalimpong. After Breakfast at Hotel. 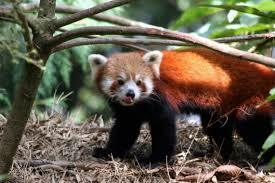 You will be taken for a full – day sightseeing of kalimpong. This Includes -Durpin Dara View Point, Zang Dhok Palri Phodang Monastery, Army Golf Course. After lunch visit Graham’s Home, Deolo View Point, Pine View orchid nursery, Mangaldham Temple. Later return back to Hotel. Evening free for leisure at your own. Overnight at Kalimpong. After breakfast at Hotels. 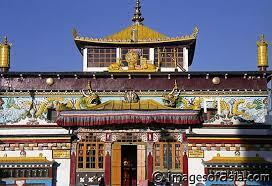 You will to be taken for full – day sightseeing of Gangtok city. This includes – Hanuman Tok, Ganesh Tok, Tashi View point, Research institute of Technology, Do Drul Chorten, Banjakhri Water Falls, Government Institute of Cottage Industry (Closed on Sunday, 2nd Saturday), Orchid House Flower Show. Later return back to Hotel. Evening free for leisure. Overnight stay in Gangtok. After breakfast at Hotel. Check out from Hotel & drive towards Darjeeling . On the way you can see the majestic beauty of River Teesta. Upon arrival Check – In at Hotel. Evening free for leisure. Overnight stay in Darjeeling. After breakfast at Hotel. 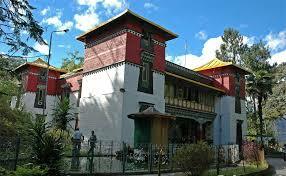 Ypi will be taken for local sightseeing of Kalimpong. This Includes – tour of Forest Museum (closed on Thursday), Deolo Hill, Dr. Grahams Homes School, Durpin Monastery, Hanuman Mandir, Mangal Dham and Pine View Nursery (cactus only). After sightseeing. You will proceed towards Gangtok. Upon arrival Check In at Hotel. Overnight stay in Gangtok. You need to get up early, get fresh and have heavy breakfast till 7.30am. 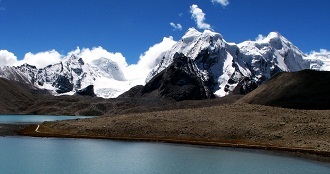 After breakfast you will be taken for a full day excursion to Tsomgo Lake (Alt 12000ft/3600M), a high altitude alpine lake close to Indo-China Border. The 1 km long and 15m deep lake is considered sacred to the local people. The pure clear water remains frozen during winter. 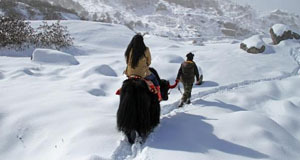 Enjoy playing in snow and Yak Ride. 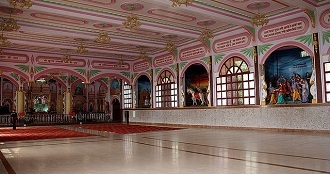 Proceed further to Legendary Baba Harbhajan Singh Mandir (â€œHero of Nathulaâ€ An Indian soldiers who was awarded the MahaVir Chakra medal for his bravery and known for doing his duty still after death). Back to Hotel. Evening free for leisure. Overnight stay in Gangtok. Optional tour to Nathula Pass ( 14140 Ft / ) :- Excursion to Nathula Pass ( Indo â€“ China Border) is done on extra supplementary cost. It is controlled by Indian Army. Nathula permit get confirmed 24 hrs prior to the trip. it remain close on Monday & Tuesday for tourist. Organizing for Permit for Nathula is not possible at last moment. I require a minimum time of 72 hrs with proper document to process. It require 04 passport size photograph & photo proof identity card. (Voter id / Passport / Driving licence). Pan card is not accepted as ID proof by Sikkim tourism. After Breakfast at Hotel. You will be taken for half â€“ day sightseeing of Gangtok. This Includes – Banjakhri Water Falls, Government Institute of Cottage Industry (Closed on Sunday, 2nd Saturday), Orchid House Flower Show, Sikkim Research Institute of Tibetology and Do-drul Chorten. Later you will proceed towards Darjeeling. Upon arrival Check In at Hotel. Evening free for leisure. Overnight stay in Darjeeling. Early morning sunrise is one of the majestic point in Darjeeling sightseeing. Request you to awake early morning around 3: 30 am, Get freshed. You will visit Tiger hill sunrise point. 11 km far from city, you will watch the combined beauty of different colors, clouds, hills, snowy Mt. Kangchendzongha and vast landscape of Darjeeling. You canâ€™t forget these moments ever. On your way back visit to Hotel, visit Ghoom Monastery and Batasia Loop. (Timing 4.00am to 7.30am). 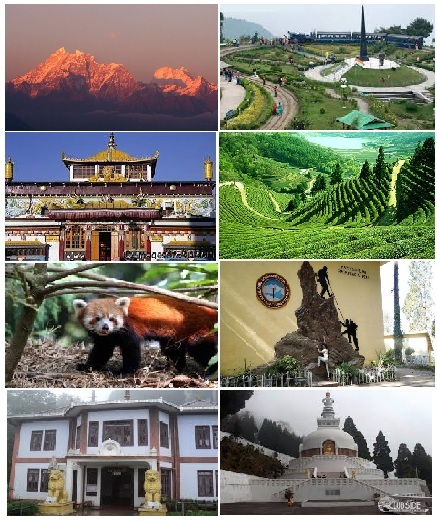 After breakfast visit most famous tourist points including Darjeeling Zoo, Mountaineering Institute (Closed on Thursday), Happy Valley Tea Estate, Tenzing Rock, Gombu Rock, Tibetan Refugee center (Closed on Sunday) Lebong Race Course outerview and Japanese temple & Peace pagoda. (Timing 9.30 to 2.30). After Breakfast at Hotel. You will be taken for half – day sightseeing of Gangtok. This Includes – Banjakhri Water Falls, Government Institute of Cottage Industry (Closed on Sunday, 2nd Saturday), Orchid House Flower Show, Sikkim Research Institute of Tibetology and Do-drul Chorten. Later you will proceed towards Pelling. Upon arrival Check In at Hotel. Evening free for leisure. Overnight stay in Pelling. After breakfast at Hotel. 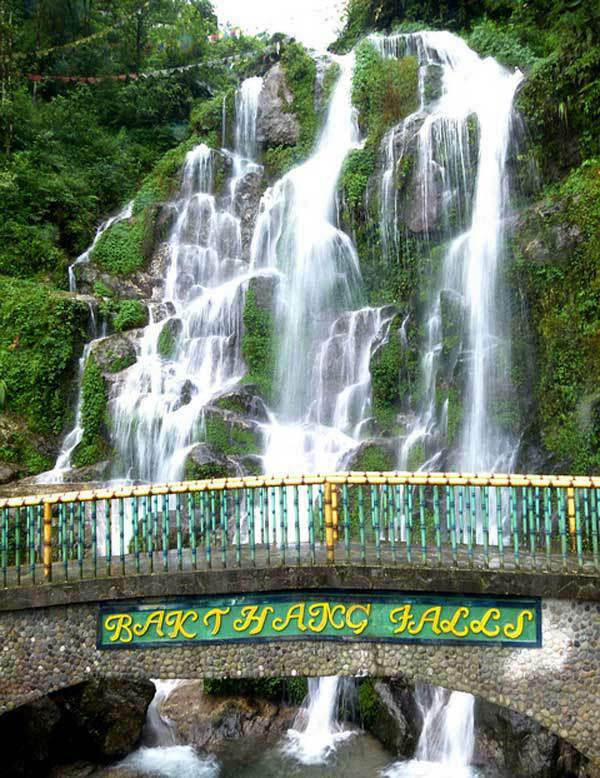 You will proceed towards local tour in Pelling starts with 08 popular tourist points – Darap Village and Valley, Rimbi Waterfalls, Rock Garden, Kanchendzonga Water Falls and Khecheopalri Holy Lake. After lunch visit Pemayangtse Monastery, Helipad View Point, Rabdentse Palace Ruins and Bird Sanctuary. Return back to Hotel. Evening free for leisure. Over nightstay in Pelling. After breakfast at Hotel. 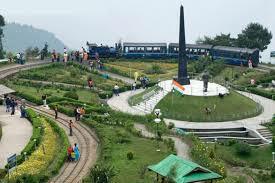 Check Out from Hotels & drive towards Darjeeling. Upon arrival Check In at Hotel. Evening free for leisure. Overnight stay in Darjeeling. After reaching at Gangtok , we assist you to check in at hotel and take rest. We suggest you to sleep early for next day tour. Overnight stay at Gangtok. Early morning after breakfast – Drive towards Lachung (8800 ft), 128 kilometers, 5 – 6 hours drive. On the way visit Chungthang( 96 kilometers from Gangtok), Chungthang lies on the confluence of two hilly rivers Lachen and Lachung Chu and the starting point of river Teesta has emerged as a major subdivision settlement in North Sikkim. – Lachung is 32 kilometers from Chungthang. Enroute visit Singhik view point, Seven sisters waterfalls, Naga waterfalls, Stop on the way for Lunch. Upon arrival at Lachung. Check In at Hotel. Evening free to stroll and visit the Lepcha Village – Overnight stay at Hotel in Lachung. After Lunch return back to Gangtok. Upon arrival Check In at Hotel. Overnight stay in Gangtok. 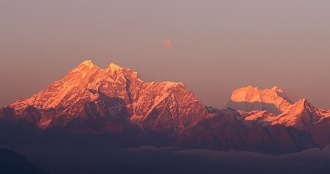 Early morning sunrise is one of the majestic point in Darjeeling sightseeing. Request you to awake early morning around 3: 30 am, Get freshed. You will visit Tiger hill sunrise point. 11 km far from city, you will watch the combined beauty of different colors, clouds, hills, snowy Mt. Kangchendzongha and vast landscape of Darjeeling. You can’t forget these moments ever. On your way back visit to Hotel, visit Ghoom Monastery and Batasia Loop. (Timing 4.00am to 7.30am). After breakfast visit most famous tourist points including Darjeeling Zoo, Mountaineering Institute (Closed on Thursday), Happy Valley Tea Estate, Tenzing Rock, Gombu Rock, Tibetan Refugee center (Closed on Sunday) Lebong Race Course outerview and Japanese temple & Peace pagoda. (Timing 9.30 to 2.30). After reaching at Kalimpong, we assist you to check in at hotel and take rest. We suggest you to sleep early for next day tour. Overnight stay at Kalimpong. Optional tour to Nathula Pass ( 14140 Ft / ) :- Excursion to Nathula Pass ( Indo â€“ China Border) is done on extra supplementary cost. It is controlled by Indian Army. Nathula permit get confirmed 24 hrs prior to the trip. it remain close on Monday & Tuesday for tourist. Organizing for Permit for Nathula is not possible at last moment. I require a minimum time of 72 hrs with proper document to process. It require 04 passport size photograph & photo proof identity card. (Voter id / Passport / Driving licence).Pan card is not accepted as ID proof by Sikkim tourism. After breakfast at Hotels. 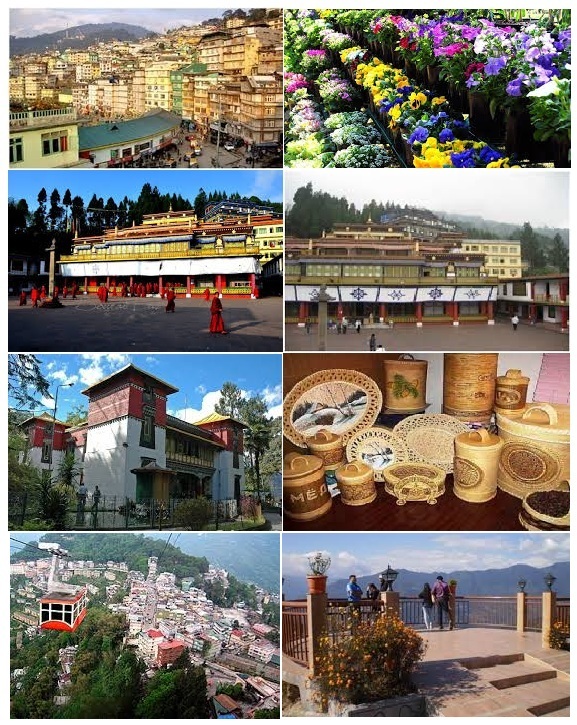 You will to be taken for full â€“ day sightseeing of Gangtok city. This includes â€“ Hanuman Tok, Ganesh Tok, Tashi View point, Research institute of Technology, Do Drul Chorten, Banjakhri Water Falls, Government Institute of Cottage Industry (Closed on Sunday, 2nd Saturday), Orchid House Flower Show. Later return back to Hotel. Evening free for leisure. Overnight stay in Gangtok. Early morning after breakfast â€“ Drive towards Lachen ( 9,000 ft), 135 kilometers, 5 â€“ 6 hours drive. 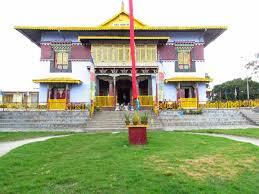 On the way visit Chungthang( 96 kilometers from Gangtok), Chungthang lies on the confluence of two hilly rivers Lachen and Lachung Chu and the starting point of river Teesta has emerged as a major subdivision settlement in North Sikkim. â€“ Lachung is 32 kilometers from Chungthang. Enroute visit Singhik view point, Seven sisters waterfalls, Naga waterfalls, Stop on the way for Lunch. Upon arrival at Lachen. Check In at Hotel. Evening free to stroll and visit the Lepcha Village â€“ Overnight stay at Hotel in Lachen. After breakfast at Hotel. Drive towards Thangu village (4100 m / 13450 ft), a remote village of Tibetan. Later proceed towards Chopta valley (4,000 m / 13124 ft). Here you can view some breath taking view of alpine valley of frozen rivers. From Chopta valley Gurudongmar lake is around 30 km (5225m / 17143 ft). its very close to Tibet Border. It is one of the highest & biggest fresh water lake in Sikkim. Later return back to hotel for lunch. After lunch Check out from Hotels & proceed towards Lachung. After breakfast drive towards Yumthang situated at an elevation of nearly 11800 feet – On the way you may visit the famous hot spring which is known for its curative properties of skin diseases – Yumthang is a valley near the river Lachung Chu surrounded by mountains where the tree line ends – In spring the valley erupts in riots of colors as Primulae, Rhododendrons and many other Alpine flowers in full bloom along with snow covered valley except in autumn – During winter Yumthang is somber with snow all around and the snow clad mountains adding to the ethereal beauty – Return to resort at Lachung for Lunch â€“ After Lunch Check Out from Hotel & drive towards Gangtok. Upon arrival Check In at Hotel. Overnight stay in Gangtok. After Breakfast at Hotel. You will be taken for half â€“ day sightseeing of Gangtok. 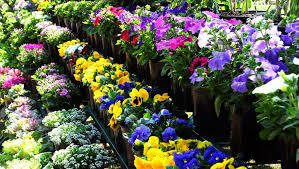 This Includes – Banjakhri Water Falls, Government Institute of Cottage Industry (Closed on Sunday, 2nd Saturday), Orchid House Flower Show, Sikkim Research Institute of Tibetology and Do-drul Chorten. Later you will proceed towards Pelling. Upon arrival Check In at Hotel. Evening free for leisure. Overnight stay in Pelling. After breakfast at Hotel. You will proceed towards local tour in Pelling starts with 08 popular tourist points â€“ Darap Village and Valley, Rimbi Waterfalls, Rock Garden, Kanchendzonga Water Falls and Khecheopalri Holy Lake. After lunch visit Pemayangtse Monastery, Helipad View Point, Rabdentse Palace Ruins and Bird Sanctuary. Return back to Hotel. Evening free for leisure. Over nightstay in Pelling.